Now, the Secretary of State for Housing, Communities and Local Government, James Brokenshire, has said he will soon be laying out criteria for who will be allowed to set up a super-council. Critics of the plan to scrap district and borough councils in Nottinghamshire say the Secretary of State for local government has ‘poured cold water’ over the ‘super-council’ idea. 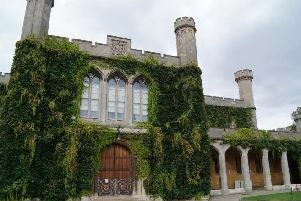 The Conservative-led county council is part way through consulting on a plan which would see seven district and borough councils – and the county council – abolished. One or two new councils would then be set up to cover the whole of the county, excluding the city. Supporters say it would help streamline services, and could save between £20 million and £30 million a year. But opponents fear it would mean decisions were made too far from the people they affect, and would cost a huge amount to set up. The scheme has proved controversial, with several councils voting to formally oppose the plan. Now, the Secretary of State for Housing, Communities and Local Government, James Brokenshire, has said he will soon be laying out criteria for who will be allowed to set up a ‘super-council’. He was speaking at a meeting of the County Councils Network. Currently, until March any council or group of councils can submit a bid to become a super-council, also known as a unitary authority. But after March, councils will only be allowed to submit a bid if they are invited to do so by Mr Brokenshire, or if there is unanimous support. Nottinghamshire’s plan is currently expected to be completed after March, meaning the plan would be subject to the new criteria. Local Government trade journal the MJ has reported that one of the criteria Mr Brokenshire will set will be that there needs to be unanimous support from the councils which would be affected. It comes after a super council was granted permission in Buckinghamshire, despite strong opposition from borough and district councils, and the threat of a legal challenge. A spokeswoman for the Ministry of Housing Communities and Local Government said: “We are open to innovative, locally led proposals which will improve services for local people, enhance accountability and deliver financial sustainability. The Conservative leader of the county council, Kay Cutts, said she had not been given specific instructions from the Government, and that she would be pressing ahead with creating a ‘compelling’ business case. Councillor Cutts, who represents the Radcliffe-on-Trent ward said: “I was a member of the audience at the County Council’s Network meeting where the Minister made reference to local government reorganisation. “He confirmed our understanding from the outset, that the ‘sunset clause’ period would end on March 31 and that he could still invite local government reorganisation in areas where he believed there was a compelling case. “I believe we are developing a compelling case – one will not only benefit taxpayers by making local government in the county more financially sustainable, but one which will also lead to better-run services and allow Nottinghamshire to benefit economically from speaking as one voice. But the Labour leader at the county council, Alan Rhodes, said the criteria would be the ‘nail in the coffin’ of the plan. Councillor Rhodes, who represents the Worksop North ward, said: “James Brokenshire is saying all the things Kay Cutts doesn’t want to hear. “It amounts to the death of the plan, I think it’s already dead in the water.